Regulating finance won’t cut it. To combat predatory lending, we need a fully public, state-owned bank. Wilson filled out forty job applications, looking for a last-minute gig to supplement his work at a senior care center, but nothing came through in time. His bank wouldn’t loan him anything less than $3,000 with corresponding interest, which he was hesitant to add to his already substantial student loan debt. Thus Wilson joined the nearly 40 percent of college-age Americans who, according to a poll conducted by CNBC, seriously consider taking out a payday loan — a small-sum, quick-turnaround, high-interest loan that can help in a pinch but can also easily lead the borrower down a spiral of debt. There are nearly twice as many payday lenders as there are McDonald’s locations in the United States. 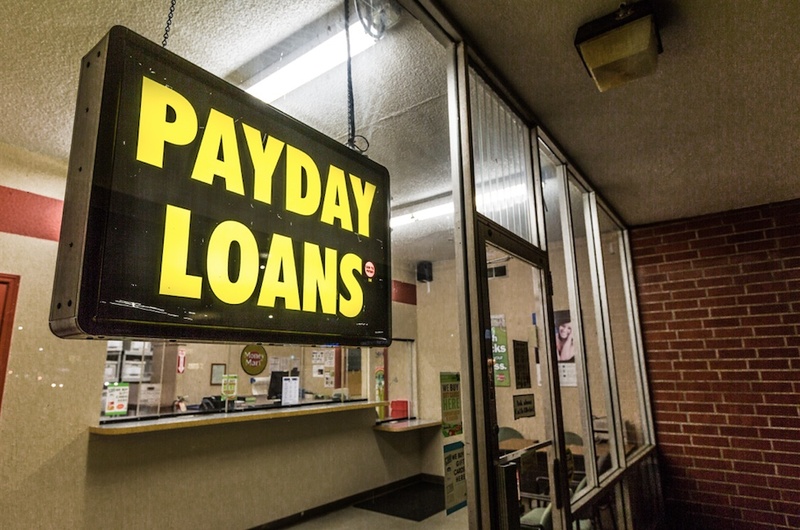 Payday lenders rake in $46 billion a year. The business model is predicated on hidden fees, punitive fines and exorbitant interest rates — up to 700 percent in some cases. These high-risk loans often precipitate financial disaster, but people who are cash-strapped take them anyway, because they have no other option. Without them, they won’t be able to pay rent and may risk eviction, or they won’t be able to afford transportation or childcare and may lose their job. Payday lenders operate in the void left by traditional banks, whose services don’t extend to everyone. Banks gamble brazenly with huge sums of money, but are notoriously skittish when it comes to the poor, rejecting working-class loan applicants even when they have good credit. Payday lenders make their money almost exclusively on the 7 percent of American households that are unbanked, meaning entirely boxed out of traditional financial services, and the additional 20 percent who — like Wilson — who are underbanked, meaning they have a bank account but still partially rely on high-cost alternative financial services like pawn shop loans, check cashing, money orders, payday loans and so on. That makes more than a quarter of the American populace a target for predatory loan sharks. And an estimated 12 million people take the bait every year. They usually borrow no more than a few hundred dollars, but in just two weeks owe much more than they were lent. The loans roll over, and the vise of debt begins to tighten. “The cycle of debt is what makes these stores so profitable,” said one payday lender in a particularly candid interview. Legislation regulating the interest rates and lending practices of alternative financial service providers is an obvious necessity, and good bills do sometimes squeeze through. But to really solve the problem, we need a more radical solution than simply regulating the bottom-feeders. We need to give them less to feed on. In a new paper from the Roosevelt Institute, researchers Thomas Herndon and Mark Paul suggest a concrete solution: a public banking option. Herndon and Paul recommend that a public bank be established as a government corporation, or a state-owned firm that is required to generate enough revenue to cover its own operating costs — but, without executive salaries and shareholder dividends to pay, no more than that. The bank would be a member of the Federal Reserve system, and it would be regulated by the Consumer Financial Protection Bureau. It would offer basic deposit and transactions services, including a checking account that would come with a debit card, which could in turn be used at charge-free public ATMs. And it would offer loans of varying sizes on “transparent, affordable terms that shielded borrowers from risk” — the complete opposite of how payday lenders operate today. Public banking is not a new idea. It’s done around the world, and one iteration — postal banking — was actually done successfully in the United States for half a century. Progressives have increasingly advocated for the return of postal banking. Herndon and Paul recommend that the public bank operate as a separate entity without competitive restrictions, but still partner with the postal service. This would facilitate universal access, since while private banks increasingly turn their backs on poor areas, there is already a brick-and-mortar post office in every ZIP code in the country. Ultimately socialists believe that we should eliminate private ownership of the means of production, including private banks, altogether. But we also don’t imagine this is possible until a mass working-class movement coheres that can carry out such an ambitious program. In the meantime, if a public banking system were established offering a diverse range of financial services, not for profit, in every ZIP code in the nation, nobody in the U.S. would be unbanked or underbanked anymore. And predatory lenders would have nobody to prey on.